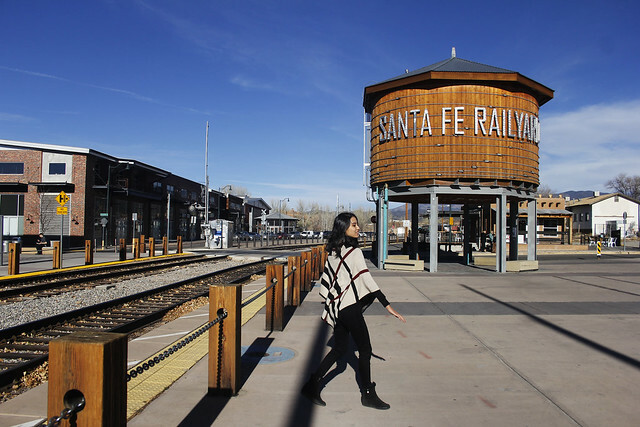 The Railyard is the second of three must-see neighborhoods in Santa Fe. 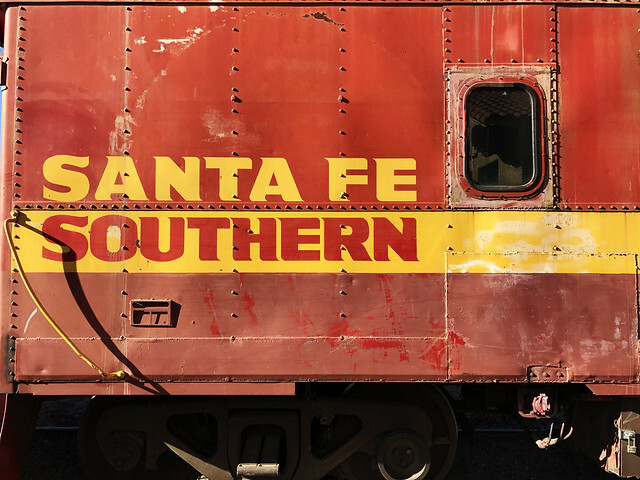 The railroad and wooden water tank with Santa Fe Railyard emblazoned in bold letters stood against the backdrop of a vast blue sky and the mountains that flanked the city, creating a truly iconic scenery. There are plenty of events at the Railyard – ranging from concerts to food tasting – though it was quiet when we visited. Many shops were still closed for the holidays, but we had plenty of fun snapping pictures and sitting with a bottle of beer by the rails. A couple of Santa Fean youths appeared with their skateboards to practice shortly before we left – with the vast park, it’s a great place to practice! 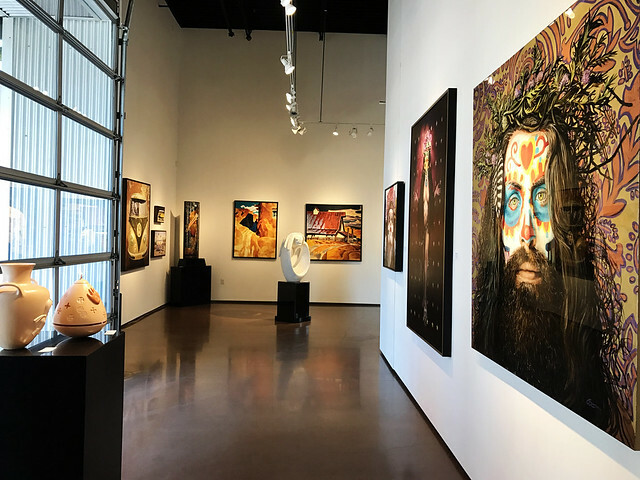 The contemporary art galleries at the Railyard were more modern than those at Canyon Road – bigger and sleeker, with artworks that hails from Santa Fe imagery, concepts and values. There were some Native American artists on display when we were there – it’s truly an eclectic mix of artists and artworks that made us think. We planned on staying at the Railyard until sunset, as we would have gotten beautiful pictures of the iconic scenery when the sun was going down but ultimately decide to explore other parts of the city. If anyone has been to the Railyard during sunset, please let us know how it is! The Railyard also stretches to the Lamy Station, where we took our train. 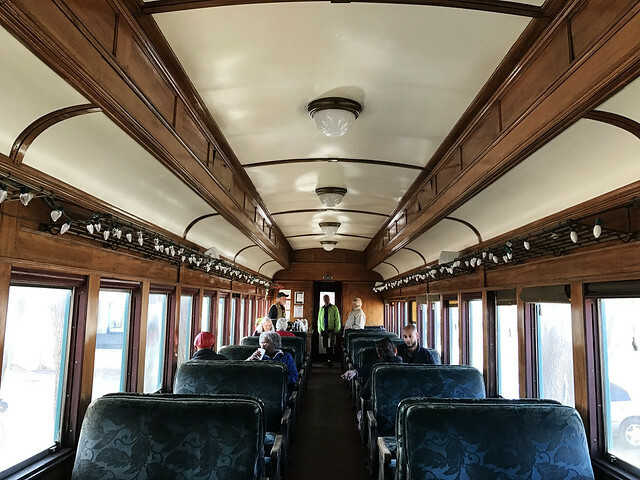 There are assortments of old trains, beautiful adobe stations and even a restaurant and bar inside a retired locomotive compartment! This entry was posted in Tourist Traps and tagged christmas at santa fe, mypassengerdiaries, mypassengerdiaries travel blog, on budget travel, personal experience, photography, review, santa fe, santa fe attractions, santa fe christmas, santa fe railyard, tourism, travel, traveling, traveling twins, twins, twins travel, twins who travel, united states, urban travel, usadiaries, wanderlust, what to do in santa fe. Bookmark the permalink. 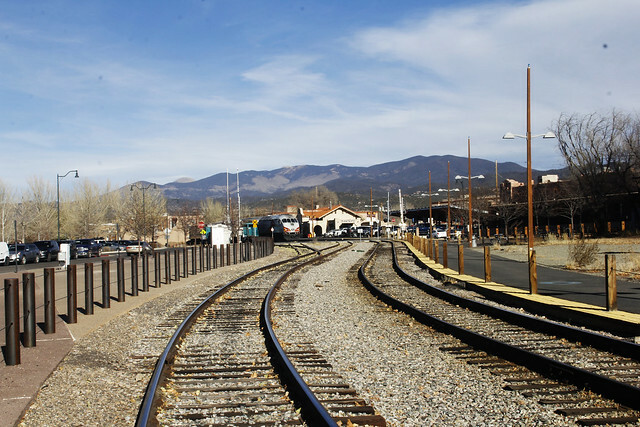 Wow, Santa Fe Railroad is one beautiful railway I guess. 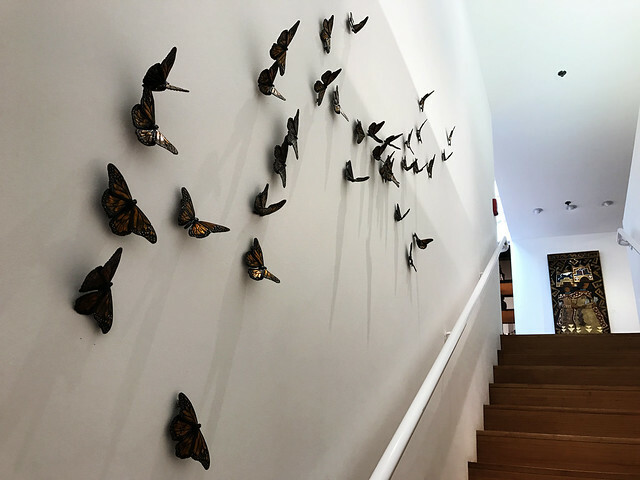 I loved the article and the images of the contemporary art gallery are beautiful. Thank you! 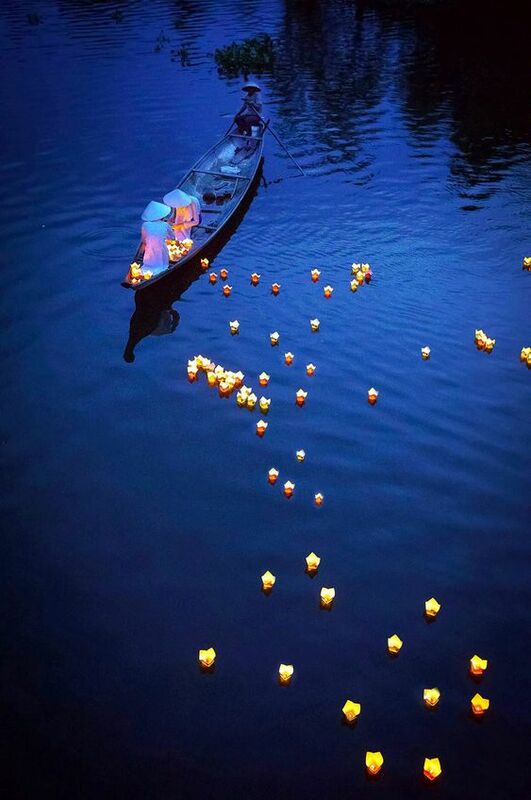 It really was a beautiful place. I love rail yards, loved this post. I have a trip planned to New Mexico next month. This was right on time!